- Exquisite pieces used for decoration. Cane Exotics are all made of natural materials. They come in different colours and sizes. They give natural arrangements and bouquets a full and complete look. Highly in demand in this section are Cane cone, Cane spring, Cane coil etc. Our clients can avail from us, an enticing array of Handmade Cane Conewhich have been a boon to the florists and designers because of the many versatile ways it can be used. They are well liked by our clients for its astounding quality and great aesthetic value. 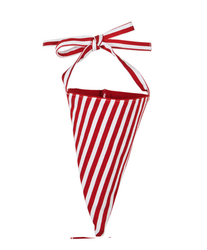 They are handcrafted and can be used in homes , offices, and shopping malls for extensive decoration. 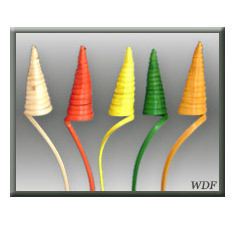 Oure decorative cane cones are long cane stretched to make a spiral cone at one end. These dried cane cones are beautifully colored with varied colors to use them in floral arrangements. The long cane can be cut and the remaining spiral cane can be used separately for crafting projects.